It is a spacious well lit apartment with warm colours providing a peaceful artsy setting.Fusion of modern &afro oriented decor. The apartment is in the city. Walking distance to many of the city's monuments,restaurants,clubs and supermarkets. 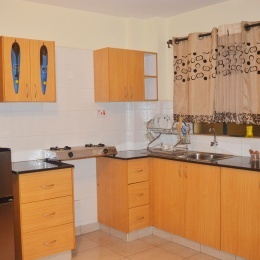 In the apartment there is a fridge for stocking, microwave,kichenette with gas cooker & basic essentials. The apartment has a well maintained serviced lift.It has wifi. Hot shower is available. The apartment creates a peaceful &mesmerizing feel. The area is convinient ,clean, safe and secure.